Could the Senate Intelligence Committee Do Oversight of CIA Drone Strikes? Different Senate committees are supposed to do oversight of different federal agencies. The Senate Judiciary Committee is supposed to oversee the Department of Justice. The Senate Armed Services committee is supposed to do oversight of the Pentagon. And the Senate Intelligence Committee is supposed to do oversight of the Central Intelligence Agency. Since the CIA is conducting drone strikes in Pakistan, Yemen and Somalia, and since this is, to say the least, a controversial policy, the Senate Intelligence Committee is supposed to be doing oversight of that. Now that criticisms of the drone strike policy are getting some play in the press, people are floating ideas for various reforms. That’s great! Let a hundred flowers bloom. But please call on me. I have an idea for a reform. Why don’t we ask the Senate Intelligence Committee to do its job of overseeing the CIA? Now, you might think, that’s a pretty arrogant claim, saying that the Senate Intelligence Committee has been asleep at the switch. Here, therefore, are three pieces of evidence for the claim. Exhibit A: No public hearings. has not held a single public hearing on CIA drone strikes that have killed an estimated 3,000 suspected militants in Pakistan, Yemen and Somalia in the last four years. Exhibit B: Senator Dianne Feinstein, Chair of the Senate Intelligence Committee, apparently isn’t aware of New York Times reporting on the drone strike policy. she was unaware of reports that in some instances U.S. officials assumed any male of fighting age killed in a strike was a combatant – a method that could undercount the number of civilian deaths. The question of whether the CIA has counted corpses in this way is absolutely crucial to the question of whether statements by government officials about low civilian casualties are credible. If, for the last six months, the Chair of the Senate Intelligence Committee was not even aware that this question existed, then the Senate Intelligence Committee was not doing “oversight” as most people would understand the word. If you meet with CIA officials and take everything they say as Gospel Truth, is that “oversight”? If major newspapers report something different from what the CIA officials say – in particular, based on conversations with other administration officials — shouldn’t you ask the CIA officials about that? Shouldn’t you be aware of it? The Democratic chair of the committee, Dianne Feinstein, kicked off proceedings by saying that the number of civilian casualties caused by US drone strikes each year has “typically been in the single digits”. […] One of the most authoritative tallies is kept by the London-based Bureau of Investigative Journalism, the BIJ, which has compiled the best information it could gather from newspaper accounts and its own independent researchers in Waziristan to keep a running score of civilian deaths from 2004 to today.BIJ estimates that over the past nine years, the US has carried out a total of up to 424 drone strikes in Pakistan, Yemen and Somalia. The attacks have caused, the bureau calculates, at least 556 civilian killings and at most 1,128. Other sources also contradict Feinstein’s claim — which of course she didn’t come up with on her own. She was merely repeating the CIA’s claim. In her introductory comments to John Brennan’s confirmation hearing to becoming director of central intelligence, Sen. Dianne Feinstein asserted that civilian casualties from U.S. drone strikes now number in the single digits annually. Those numbers are difficult to know with any certainty, and official U.S. estimates are secret. But some organizations do follow open-source reports on the strikes and attempt to track individual civilian casualties. At least some of their numbers, gathered by the scholar Micah Zenko for a Council on Foreign Relations report, appear to contradict Feinstein’s assessment.According to data from the Web site Long War Journal, U.S. drone strikes in Pakistan and Yemen killed a combined 31 civilians in 2008, 84 in 2009, 20 in 2010, 30 in 2011 and 39 in 2012. Exhibit C. When they want to, Senators can shake information loose from the Administration: one bipartisan letter liberated a key document. On February 4, a bipartisan group of eleven Senators led by Ron Wyden wrote to President Obama “seeking the legal opinions outlining the President’s authority to authorize the killing of American citizens during the course of counterterrorism operations,” hinting in their letter that Administration failure to disclose these long-sought memos could snag the confirmation of Brennan to head the CIA. The next day, Wyden issued a statement saying: not good enough, we need the actual memo. So, if they want to, a bipartisan group of eleven Senators can shake information loose from the Administration on the drone strike policy. Brennan’s confirmation is still hanging fire. If there’s other information these Senators want,the time to demand it is now. The question of civilian casualties is crucial to whether the current drone strike policy is a policy that the public would support. A recent survey conducted by James Walsh, a political science professor at the University of North Carolina, indicated that the risk of death to innocent civilians had as great an impact in depressing U.S. public support for military action as the risk of death to U.S. soldiers. 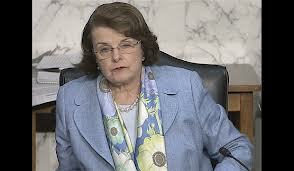 Meanwhile, perhaps Senator Feinstein and her staff could start reading the New York Times.